The 8th Annual Round the Bay Relay and Ultra features six legs covering the roads around scenic Choctawhatchee Bay in beautiful Northwest Florida. CLICK HERE for more information. Register for the 8th Annual Round the Bay Relay and Ultra online or download the form. CLICK HERE for more information. The Round the Bay Relay and Ultra uses staggered starting times for all teams and Ultra runners. Starting times will be published on this page as the race date approaches. CLICK HERE for more information. All race participants should read our Race Rules for the 8th Annual Round the Bay Relay and Ultra. CLICK HERE for more information. 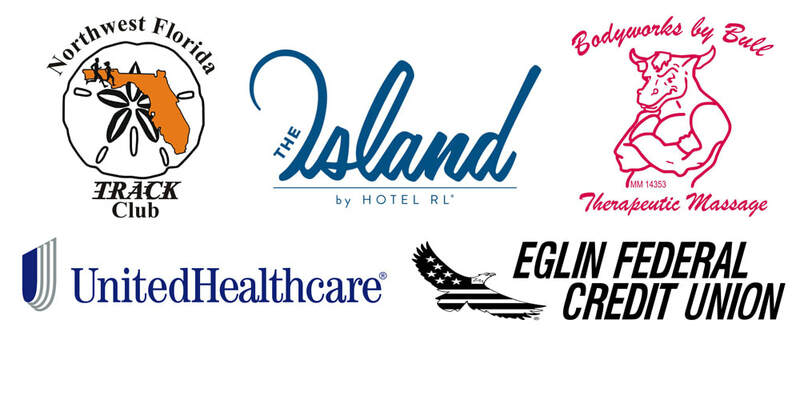 New name, renovated hotel, The Island , by Hotel RL (formerly the Ramada Plaza Beach Resort) is once again the Official Overnight Destination for the Round the Bay Relay and Ultra. Enjoy special discount rates at a beautiful oceanfront resort. CLICK HERE for more information. Welcome to our new web-site! We had a minor "Internet malfunction" with the previous web-site (roundthebayrelay.com.) After several phone calls and much deliberation, we determined that the best course was to create an entirely new web-site! And while we were at it, we decided to go with a new domain name, too: www.roundthebayrelayandultra.com. Our new name reflects our dedication to providing a premiere running event to runners at every skill level. If you typed-in our old domain name (roundthebayrelay.com) or clicked a bookmark or link, you were re-directed to our new web-site. Make sure to update your bookmarks, and spread the word. We are now roundthebayrelayandultra.com!